With spring in full swing a lot of our British gardens are bursting to life with greenery and plants. But this, apparently, is old news for Duloe Manor and the gardens here always start to come alive early in the year! Thanks to its wonderful position close to the southern Cornish coast, the gardens at Duloe benefit from a mild (if wet) climate. And it really pays off! Many things start appearing much earlier than elsewhere in the UK. Currently the grounds consist of 14 acres which provide five acres of meadow, and nine acres of mixed formal and semi-formal gardens. Most cottages have individual mixed borders and patios, containing shrubs and perennial plants. The grounds surrounding the Manor House are formal in nature and offer stunning east-facing views, while also providing a historical structure to elevate the Queen Anne building. 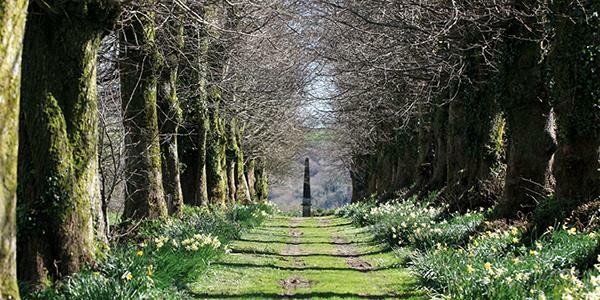 The Lime Avenue was the original grand drive to the rectory, providing a framework to visitors and now enjoyed by all. In January we were already starting to see snowdrops throughout the grounds of Duloe. 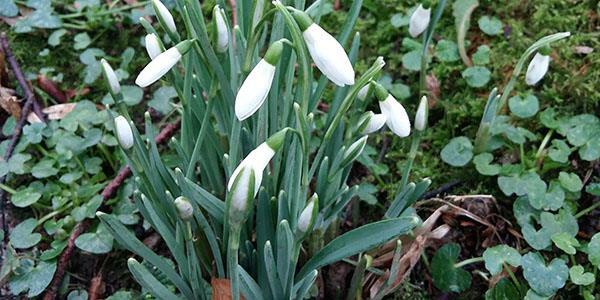 In fact, according to head gardener Richard, the first snowdrops were seen on Christmas Eve. And that's not even unusual - that's one day earlier than they appeared last season and they continued to pop up across the site right into spring, making for a wonderful white display. Snowdrops are usually associated with the very first signs of spring and will often be the first thing you spot after Christmas. These delicate little flowers favour shaded areas, meaning you'll often spot them huddled together under trees. It wasn’t just the snowdrops that were making an early appearance, the daffodils began flowering in the gardens of Duloe long before anywhere else and are still going strong now. Richard says that a lot of people don't realise that daffodils can actually flower from really early in the year right the way through to mid summer; it just depends on the species. 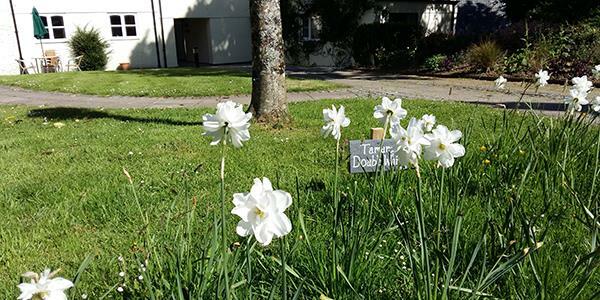 Last year the team set about planting around 30 species of heritage daffodils for a new daffodil walk that will lead guests all around the site. It'll be a wonderful sight to behold when it's in full bloom. Some of the species such as the Cornish Vanguard are early to flower while one of the latest to bloom will be the Whitsun Lily, or the 'Tamar double white' (below) which is likely to be in flower as late as June - so there will always be something to see. Labels will be placed along the way so you can identify the different species for yourself. 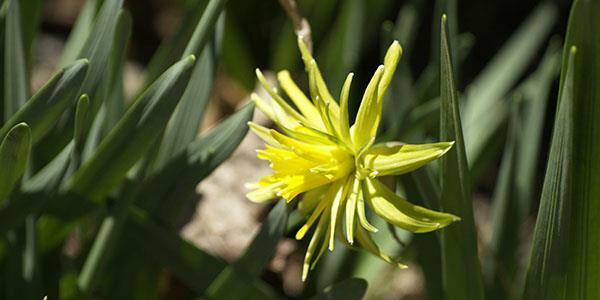 The oldest one of the collection is called the Rip van Winkle and it is a species of daffodil that dates from the 1620s. Last year the team set about clearing a big area down by the manor house, they put in a new set of steps and planted out an acer glade with 12 different species of acer. When these stunning shrubs come into colour they'll be fantastic reds and oranges. 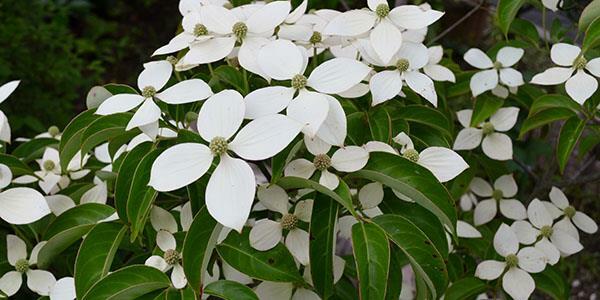 Throughout the little trees will be small white Chinese Cornus, which will beautifully set off the fiery tones of the acer leaves. 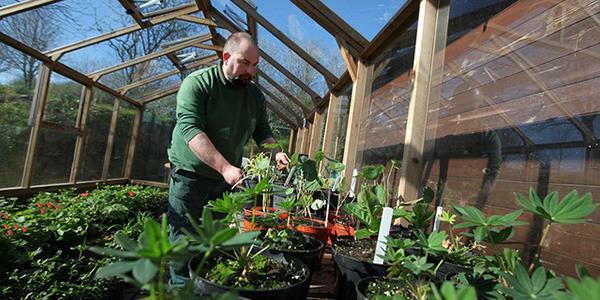 Richard is constantly working three years in advance, always planning the next project, to ensure the gardens are always looking their very best. Recently the team has expanded the herbaceous border and the plan is to continue working on it into the future. The picturesque Lime Avenue, which is 57 trees long, leads you from the Manor House down towards the tall monument at the end. A re-pollarding project for the trees would encourage the foliage to thicken up and eventually create a denser walkway. The limes where unsympathetically pollarded approximately 20 years ago when, due to some wind-damaged trees, there was a general consensus at the time that all the limes required reduction. In hindsight the procedure was a little harsh, leaving a problem with rot in the crown of the trees. 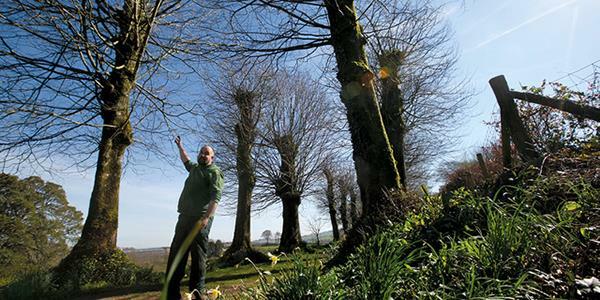 The re-pollarding process will stem the deterioration of the general health of the trees. One of the main visions for the future, providing all goes to plan, is to create a Victorian plantsman's garden as a nod towards the heritage of the area. It will show off plants such as camellias, azaleas, magnolias and rhododendrons. Plant-hunters of the Victorian era bought these plants across to the warm climate of Cornwall back in the 19th century, and they still feature in a number of the large, historic houses of the area, such as Caerhays Estate. It is Richard's hopes that he can create a similar area at Duloe. Because the mahonia has already proven to be popular with some very sleepy bees, Richard has planted up some echium vulgare or 'viper's bugloss' as a bit of an experiment. It is a similar plant that grows upwards in a spike, with flowers branching off the stem. 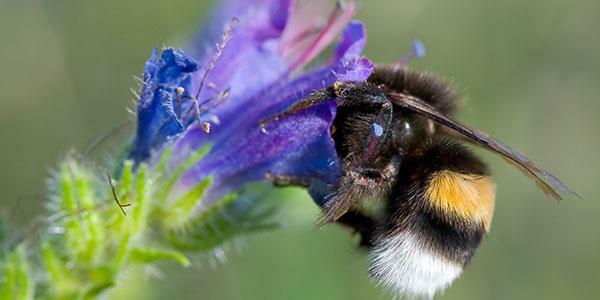 It's a great one for pollinators, and he's hoping that come summer, when it's in full bloom, the bees will come flocking. Always playing to the site's strengths, Richard says that the mild climate is perfect for the magnolias and camellias while the damp is loved by the hydrangeas. Having managed to get four or five tomato species and some early potatoes potted up and growing strong in the greenhouse, it’s likely the young plants will be ready to face the world before too long. There is always something going on at Duloe, and always an array of plants in the beautiful gardens. Richard does a fantastic job keeping everything constantly new and changing, planning the next project. The spring is the ideal time to see everything at its very best! Come and explore Duloe for yourself! You can find out all about how to stay here by entering your details at the bottom of the page to receive a free brochure.